The wonders of brows. You might not believe how important it is to have a good pair of brows. For myself, the only thing that I can't leave the house without is my brows. I can have no foundation, powder or eyeliner on, but I cannot walk around with sparse pathetic brows. 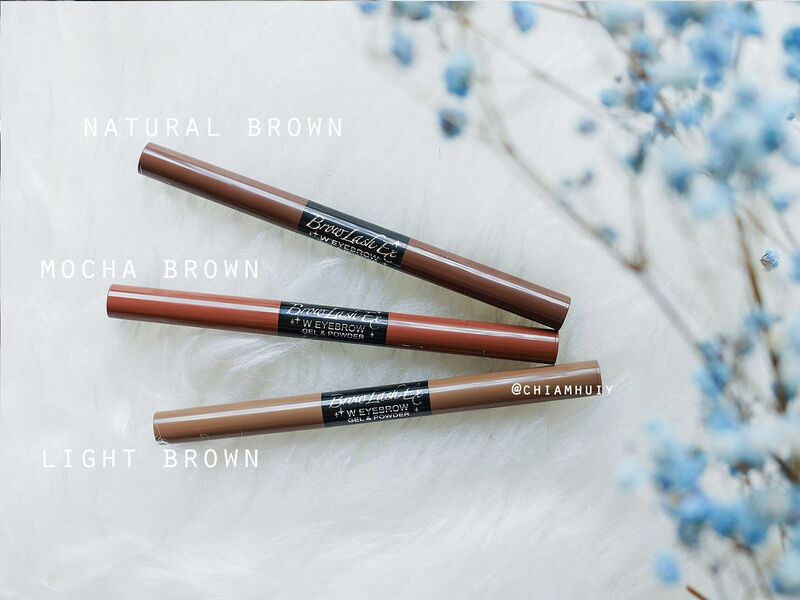 In this post, I'll be reviewing two kinds of brow products from Browlash, and how the photo illustrates, using a brow product as a contouring tool! 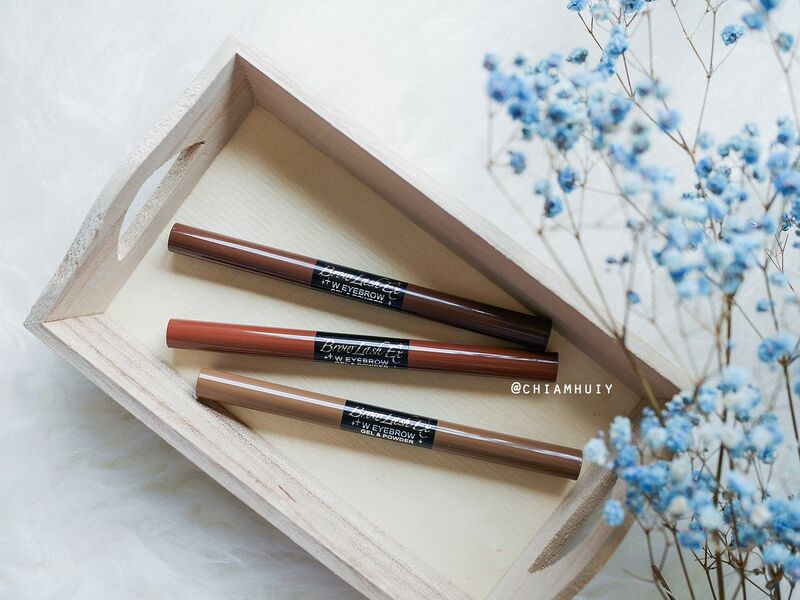 The first product is the Browlash Ex Water Strong W Eyebrow (Gel X Powder), comprising two functions - Gel and Powder - on each ends. 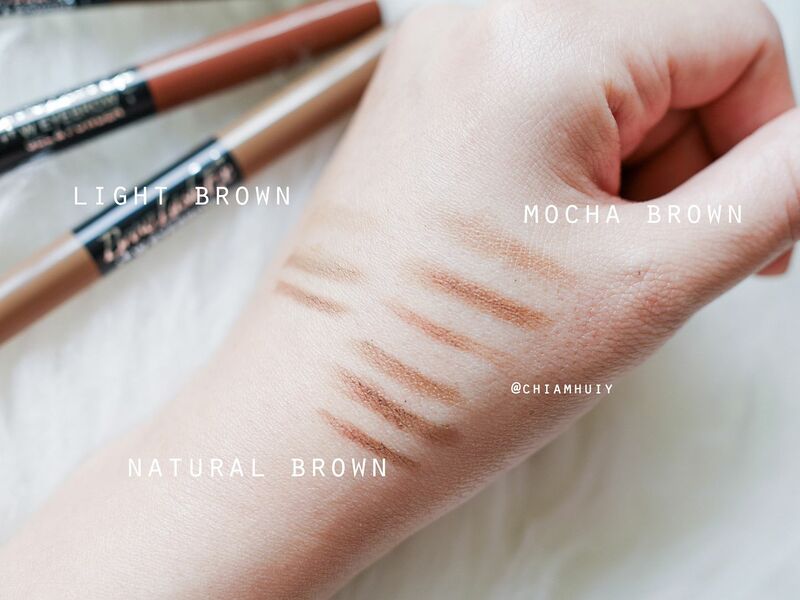 There are three shades altogether: Light Brown, Natural Brown and Mocha Brown. 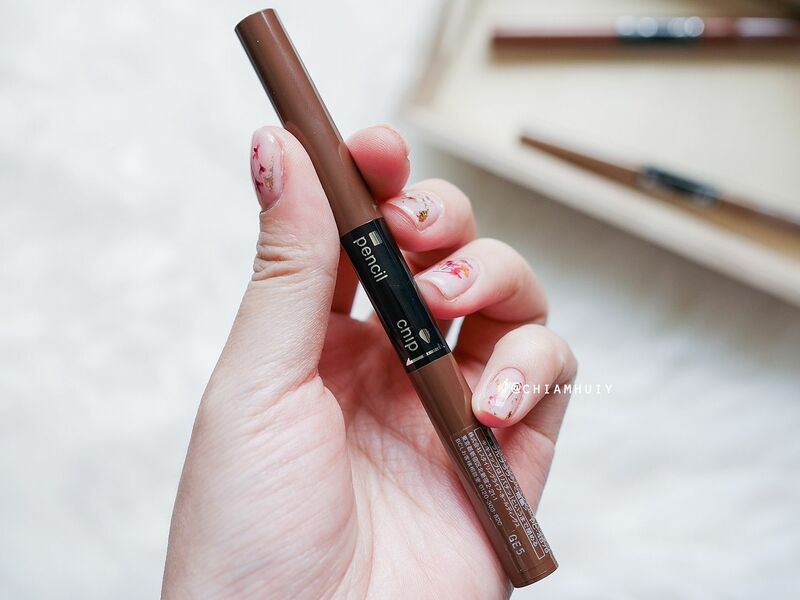 The power of this Browlash Ex Water Strong W Eyebrow (Gel X Powder) is that it contains waterproof polymer formulation that makes it 24hr waterproof. First use the gel pencil to outline and draw out hair strokes. strokes. It glides on very smoothly due to its gel texture. The gel adheres onto the skin for long lasting hold. With a pencil tip, you get to draw very precise and sharp brow ends and mimic brow hair strokes. Next, use the soft powder sponge tip to brush out any harsh lines. 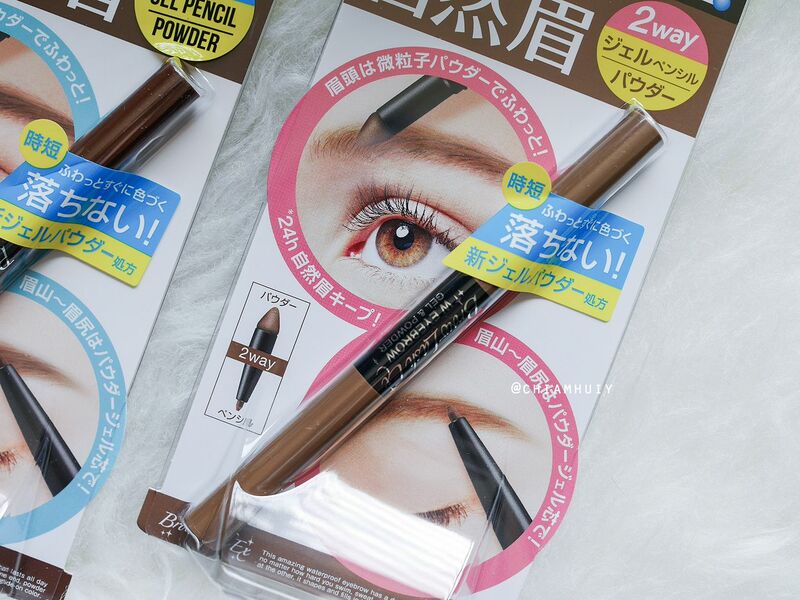 This powder tip can also be used for those who just want to fill in their brows. It contains micro powder which helps to create a natural finish. PS: **Twist only 2mm of pencil out each time to prevent the pencil from breaking. 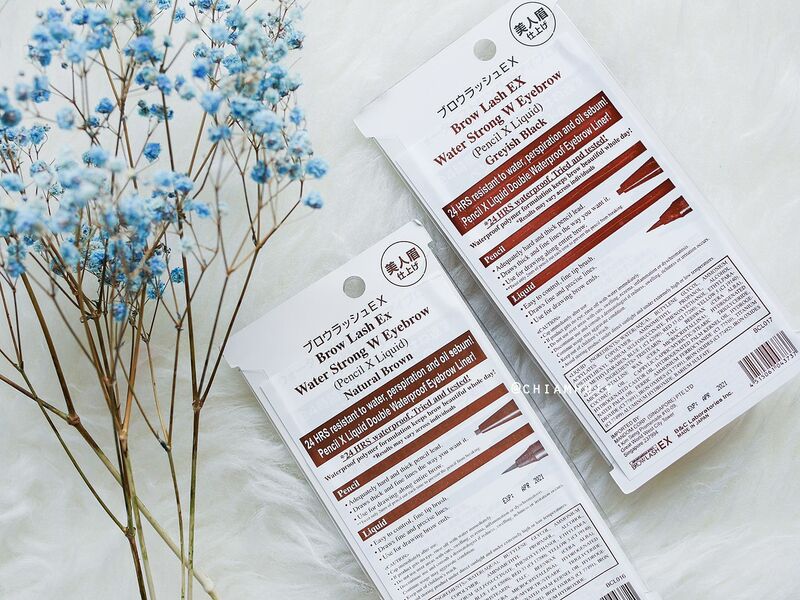 BROWLASH EX WATER STRONG W EYEBROW (GEL X POWDER) only retails at $19.90. Here are the swatches for all three colours. I can wear both Mocha Brown and Natural Brown. Light Brown on the other hand is more suitable for those with lighter hair shade. 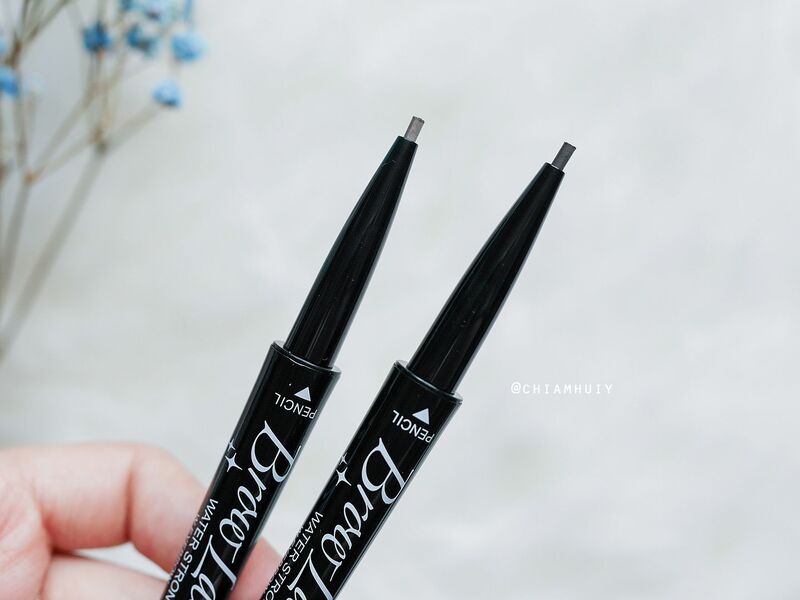 Thoughts: I am a brow fanatic, and these affordable brow products certainly met my expectation. 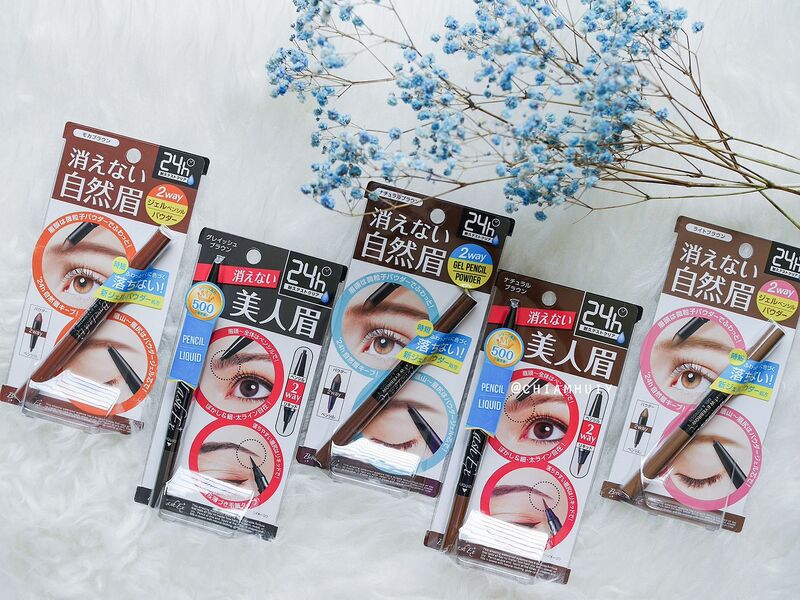 I particularly like the two ends which makes drawing eyebrows an even easier job now. Although I do miss a spoolie to brush out harsh lines, I would say the sponge tip works equally well. I would say this is better for drawing Korean style brows because of the sponge tip which is used to blur the edges out. 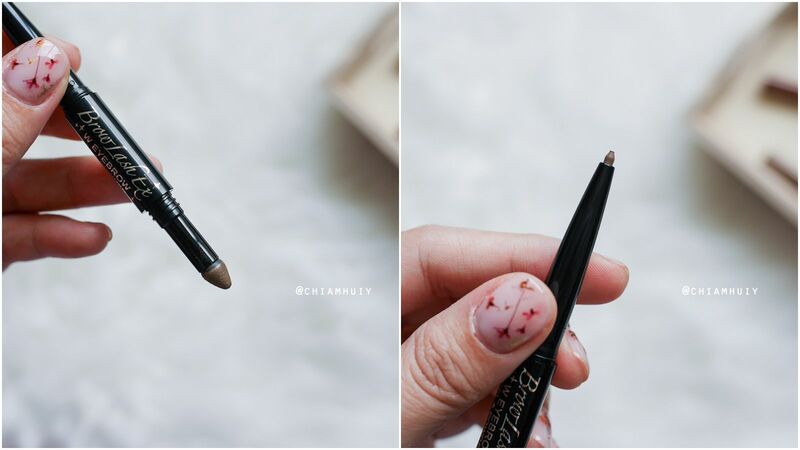 This will help to achieve a softer brow look. Another great use of the soft powder sponge tip is to double it as a contouring tool! Check out how I first use the Gel pencil to outline a narrow nose (I can go even narrower), and followed up using the sponge tip to blend it out. Absolutely loving this added feature! 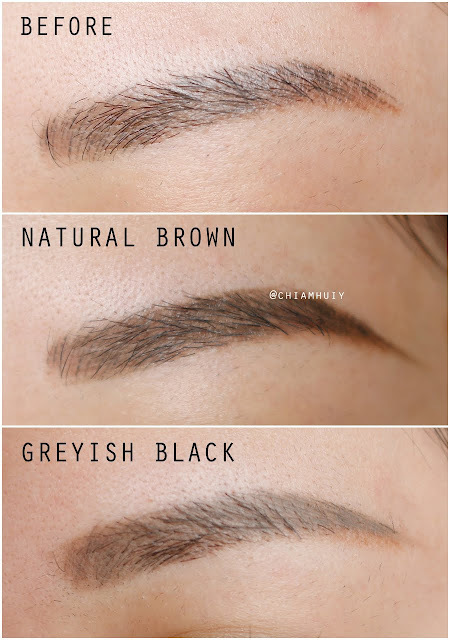 For those who prefers Western style brows with sharper brow end and higher arch, you should consider the Browlash Ex Water Strong W Eyebrow (Pencil X Liquid) instead. 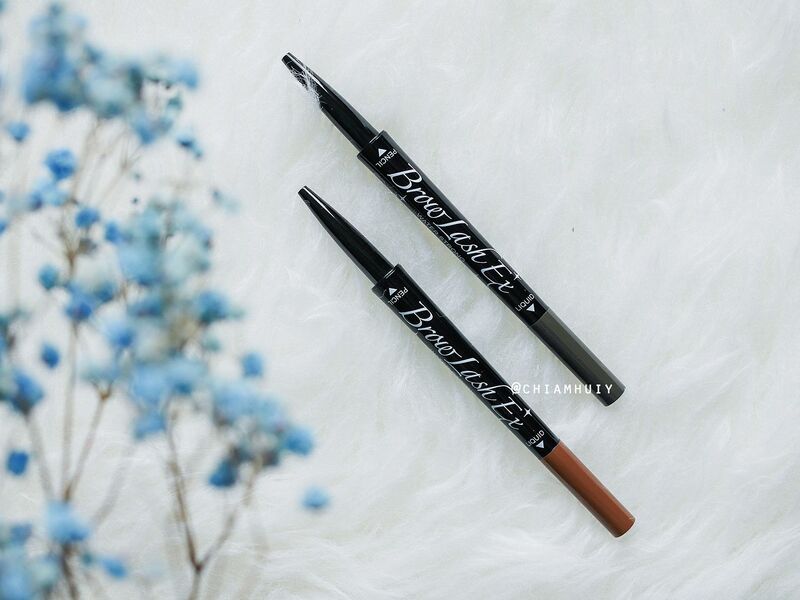 Basically, it is a double ended brow product with a pencil end and a liquid end. It is also waterproof too! The pencil tip is harder than the previous “Gel x Powder” formulation. 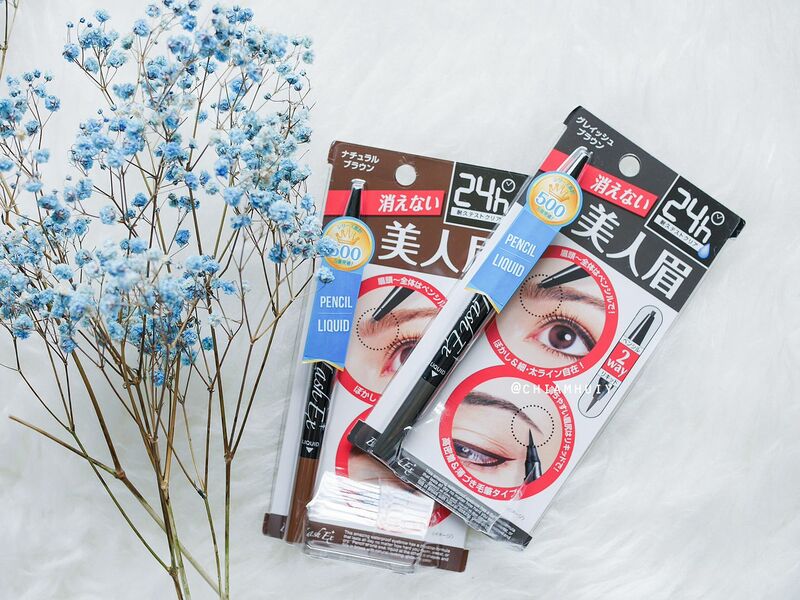 With an adequately hard & thick pencil lead, you gain more control when you draw your brows. More importantly, the formula is specially made to be slightly harder so that it can be long lasting and will not fade throughout the day. 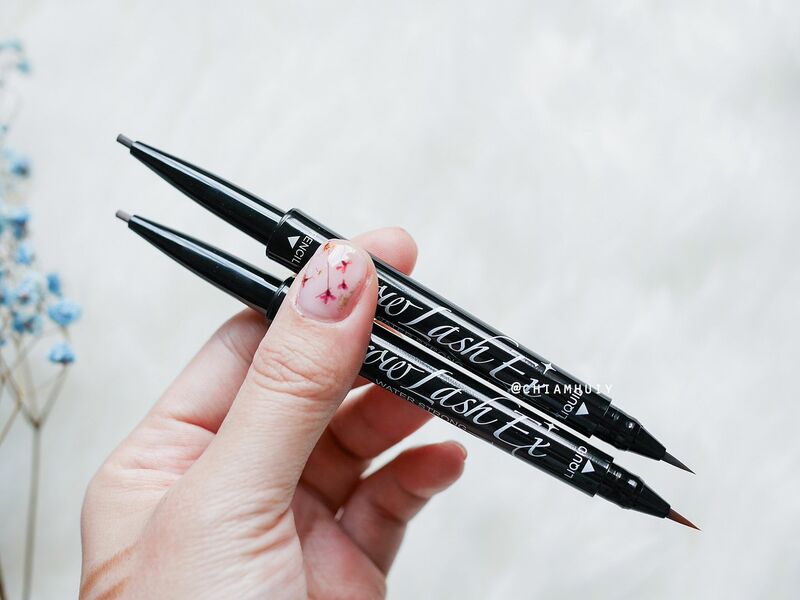 The quicker the pencil formula goes on, the easier it can wear off throughout the day. This is especially so in Singapore’s hot weather, where makeup meltdown is not uncommon. Hence, it's not just about looking for a product that is easy to apply. 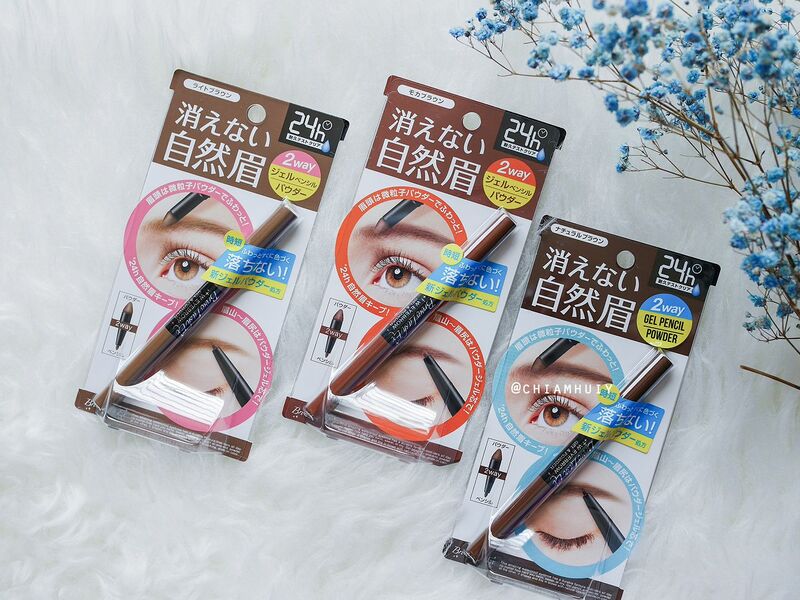 It's more about finding a long-lasting formula so that you won’t have missing brows at the end of the day! On top of that, the fine tip brush at the other end allows you to draw fine & precise lines. The colour payout isn’t at intense as the pencil lead, creating a more natural effect. What I do is to use it for filling my brows, topping off the pencil base and framing the edges. 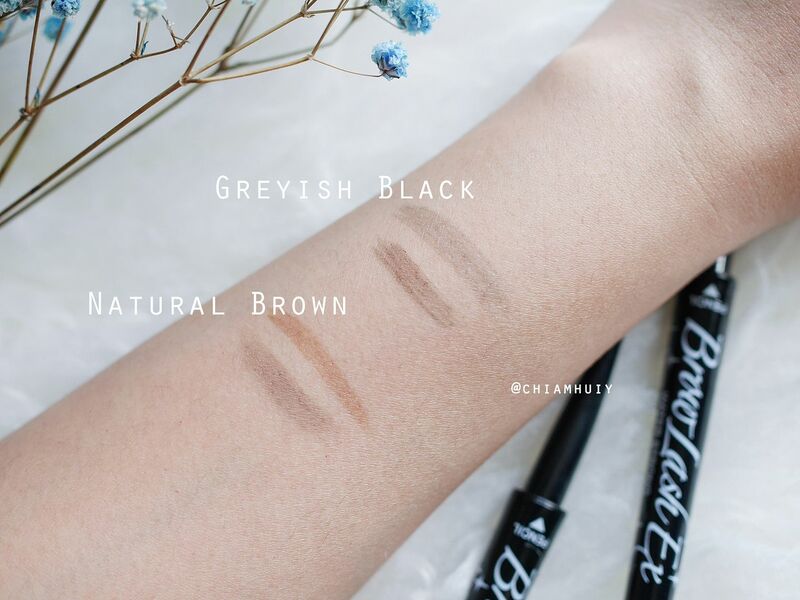 Browlash Ex Water Strong W Eyebrow (Pencil X Liquid) is available in two colours - Natural Brown and Greyish Black. 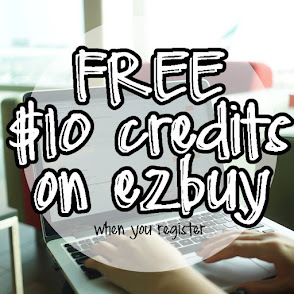 ($19.90). The trick is to outline first before you fill in. 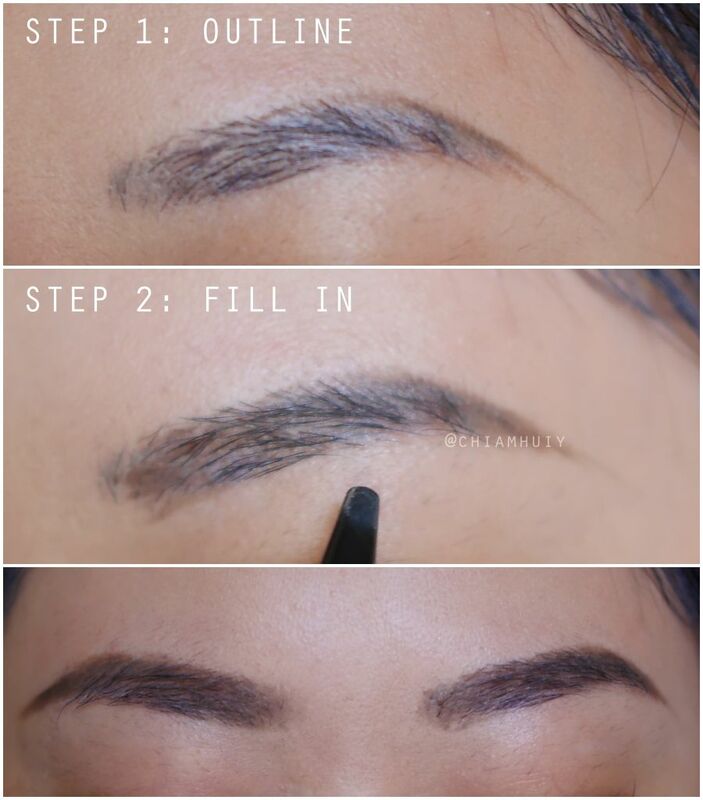 By outlining, you get to decide on the shape before you fill in your brows. The more arch the brows, the sharper you will look. Bear in mind that too sharp an arch will make you look really fierce! Seeing so many colours from the two variety, what would be your favourite? 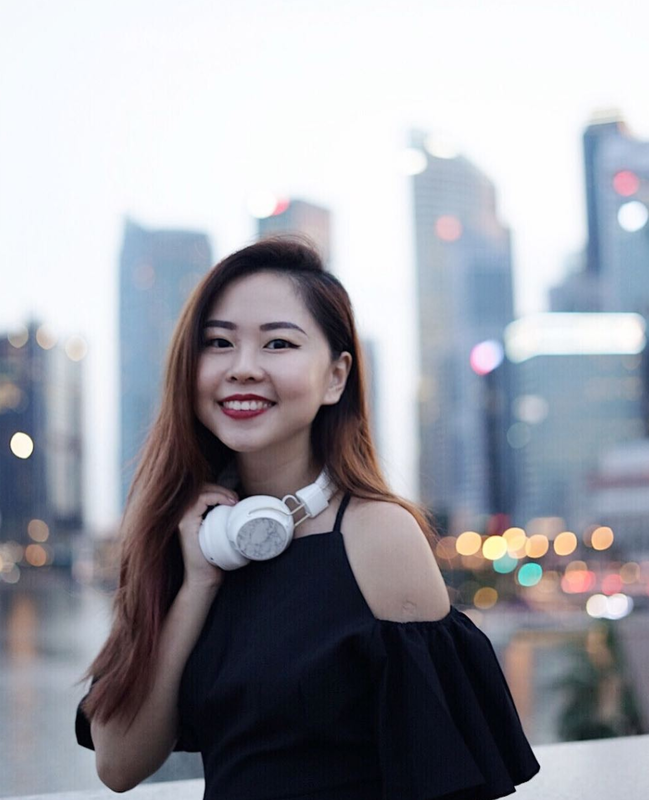 A softer look, or an edgier look? Like I’ve previously mentioned, I cannot leave the house without having my brows drawn. When I have my brows drawn, it really makes a lot of difference as I look smarter and more awake.. 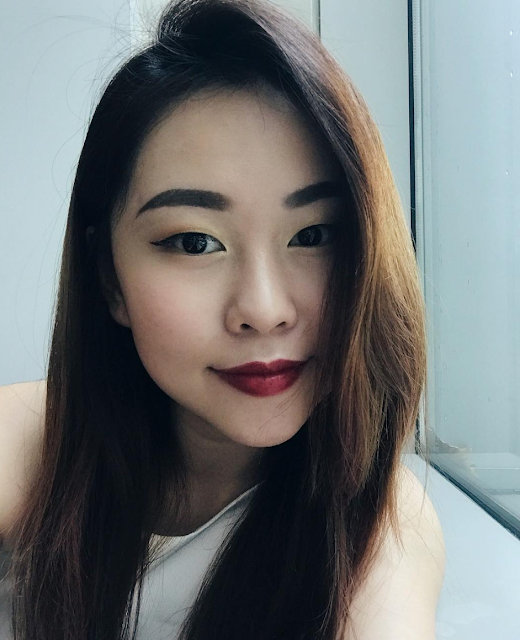 I was born with very sparse brows, which was why I went for eyebrow embroidery. While I agree that it was a good investment, I find that my eyebrow embroidery is always being covered up whenever I apply my makeup (esp. foundation/cc cream). That is where I realized that it is very important to include this additional step of drawing on my brows again. Besides, in my humble opinion, eyebrow embroidery on its own is not enough to compliment your whole look if you have your full makeup on. 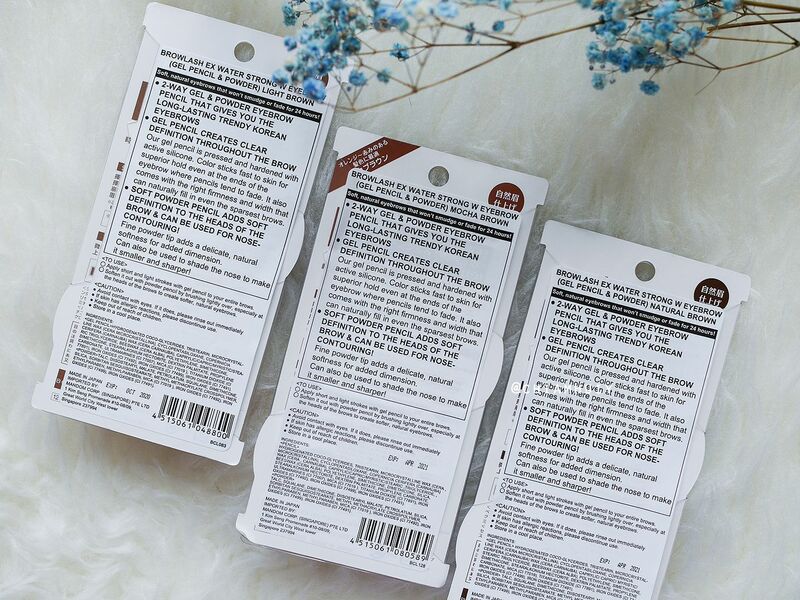 Now we can say yes to brows that are 24 HRS resistant to water, perspiration & oil sebum!